What Is VVS Diamond? Is It a Good Option for Budget Buyers? Diamonds are a girl’s best friend, but do they know all that they need to about this precious gem? Things like clarity, color, cut and carat, are the factors that can contribute to the overall value of a diamond. Here are some of the things that anyone buying a diamond needs to know. These are particularly for those looking to buy VVS diamonds, which are some of the most sought after kinds of diamonds on the market. There are several different tiers of diamonds, each depending on varying characteristics. One of the things that determine the grade and price of a diamond is its clarity. 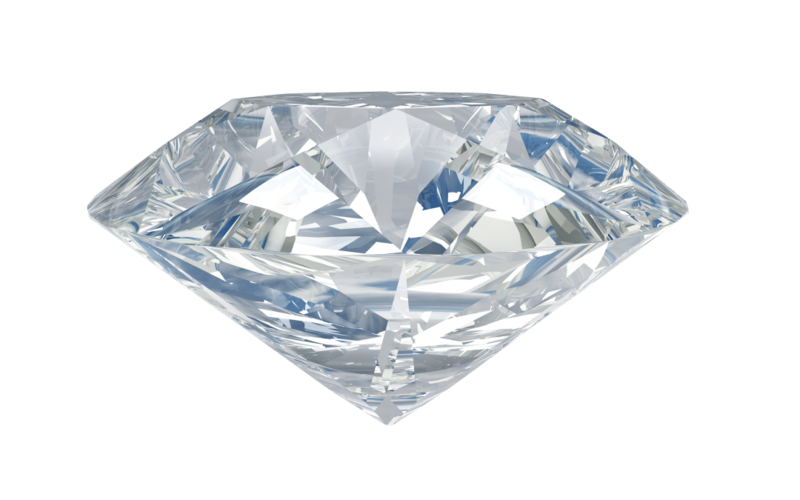 When people refer to the clarity of a diamond, they are indicating as to whether or not there are any blemishes or marks on the diamond. There are varying degrees of diamonds, with the ones without any blemishes being the most expensive of the lot. However, these imperfections sometimes can’t be seen with a microscope, and even trained professionals can’t identify them. Buying a diamond that is near perfect is sure to burn a hole through your pocket, which is why buying a diamond that is at the middle range of budget and clarity is always a preferred option. VVS diamonds are some of the most preferred in this instance. However, before you go out to the store, you need to know a few aspects of what you are purchasing. 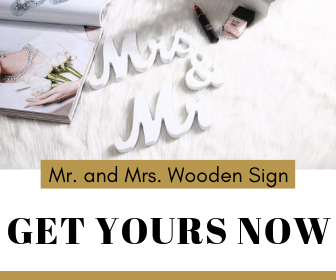 You need to understand what is VVS diamond and what are the different things you need to look out for when making your purchase. A VVS diamond is one that only has very slight blemishes that are invisible to an untrained eye. Only diamond graders and cutters who are well experienced would be able to spot the imperfections with these diamonds. Even then, they are only able to do so by using a powerful microscope or magnifying glass. VVS stands for very very slightly included. This means that just a few scratches, blemishes or deposits exist in this. These kind of diamonds are some of the most sought after because they can be bought even with a mid-range budget, while still giving you the beauty of a flawless diamond. Within the VVS category itself, there are two distinctions of diamonds. One of them being a VVS1 and the other being a VVS2. The first type within this category is the diamond with fewer blemishes than the second type, even though they may seem almost identical to an untrained eye. FL: As mentioned earlier, the flawless grade is one of the highest grades of diamonds available. These diamonds are some of the rarest kinds. They tend to also be the most expensive of all the possible options. IF: IF stands for ‘internally flawless’. It means that these diamonds have incredibly small imperfections. These imperfections are only identifiable by trained professionals who know how to identify these aspects with an incredibly strong microscope. VVS1 and VVS2: VVS, as mentioned earlier is one of the most commonly sought after kinds of diamonds. They only have a few imperfections that can be visibly under a microscope. 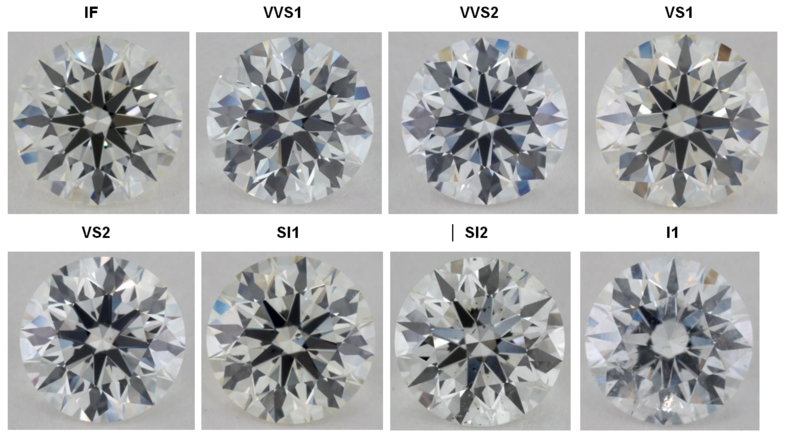 VS1 and VS2: Just like the previous category, these diamonds also have small amounts of imperfections that are still only visible to professionals who are familiar with diamonds and the flaws that can arise. This is also divided into VS1 and VS2, which denotes the intensity of the flaws on the diamonds. S1: This stands for slightly included. It means that the diamond does have a few blemishes which can be visible to people who look at it under a magnifying glass. This kind of diamonds tend to be cheaper than the others. However, it might not look as lovely and flawless as the other options. I1, I2, and I3: This category stands for ‘included’. It means that there are blemishes and scratches which can be easily seen, even without any magnification. These diamonds tend to be the cheapest. However, the inclusions and defects might drastically alter the look and feel of the diamond. 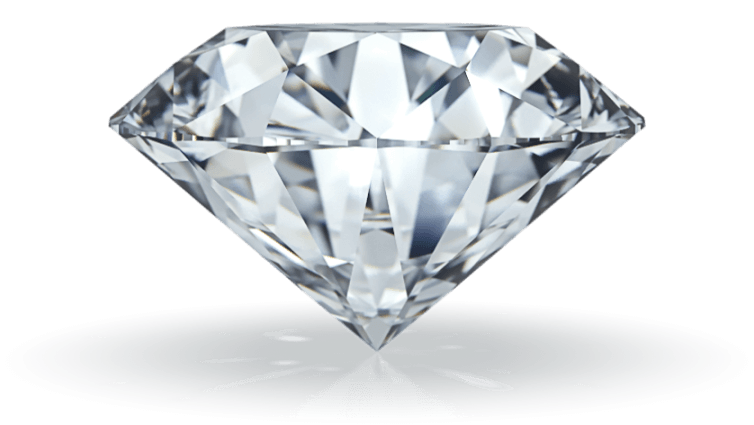 Why Should You Go In For A VVS Diamond? Now that you know what is VVS diamond, and the different kinds of grades that are there, you should know VVS diamonds are more preferred than any other kind. VVS diamonds tend to be in the middle of the pack, as compared to the other categories in the list. The imperfections in these diamonds are not very visible to the naked eye. This is why they can look just as good as the higher grades of diamonds that exist. In addition, VVS diamonds aren’t as expensive as the grades before it, even though they look almost similar. VVS diamonds can provide you with the best of everything. This is why they are one of the most sought-after kinds of diamonds on the market. The color of a VVS diamond also tends to be superior to other kinds of diamonds that are of a lower grade than this. When buying a diamond, either for yourself or someone else, it is mainly the look that matters. If you like how a diamond looks, don’t be afraid to go in for it, even if it isn’t a certified FL diamond by a VVS one. 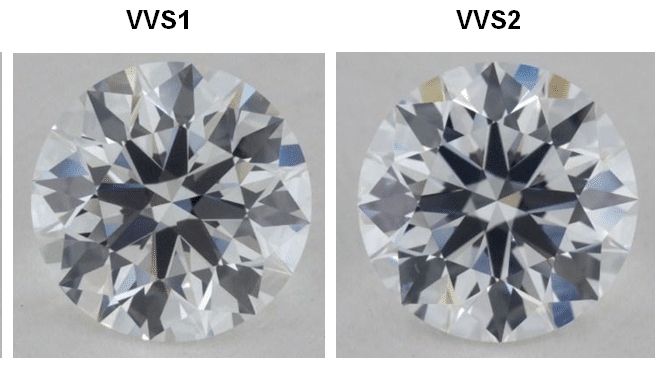 What Should You Look Out For When Buying A VVS Diamond? One of the easiest ways to ensure that you are paying for what you are getting is to see the certification on a diamond. Always buy diamonds that have certification of their authenticity to not end up buying something that is overpriced. If you do want to see the diamond for yourself, to make sure that it is genuinely a VVS diamond, you can ask to look at it under a microscope. If the outer look of the diamond is all that matters to you, you can either go in for VS1 or VS2 type diamonds. They can vary in price while still looking just as good. Buying a diamond isn’t hard, especially if you know these pointers. Diamonds are beautiful, no matter what the grade or cut. Don’t be afraid to go in for something like a VVS diamond even if you are looking for something higher graded; it can look just as good, while giving you a good deal for it!